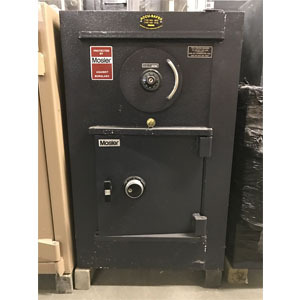 Used Safes New York |Pawn Shop Safes Long Island: Accu-Safes Inc.
Accu-Safes carries a large inventory of reconditioned used safes and security products. Each unit has be carefully inspected and certified to provide you with years of dependability and service. 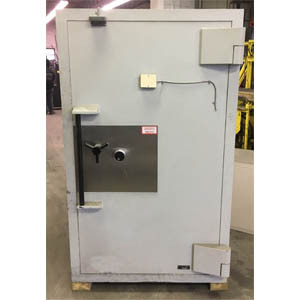 In addition, all our refurbished safes and equipment includes our guarantee. 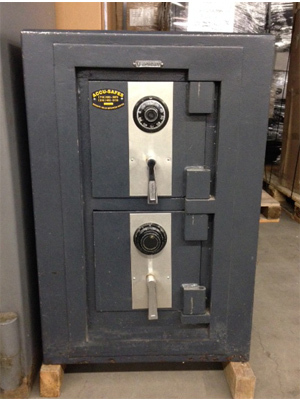 Call For A Price Quote Or To Speak To Our Expert Security Consultants To Review Our Current Inventory. 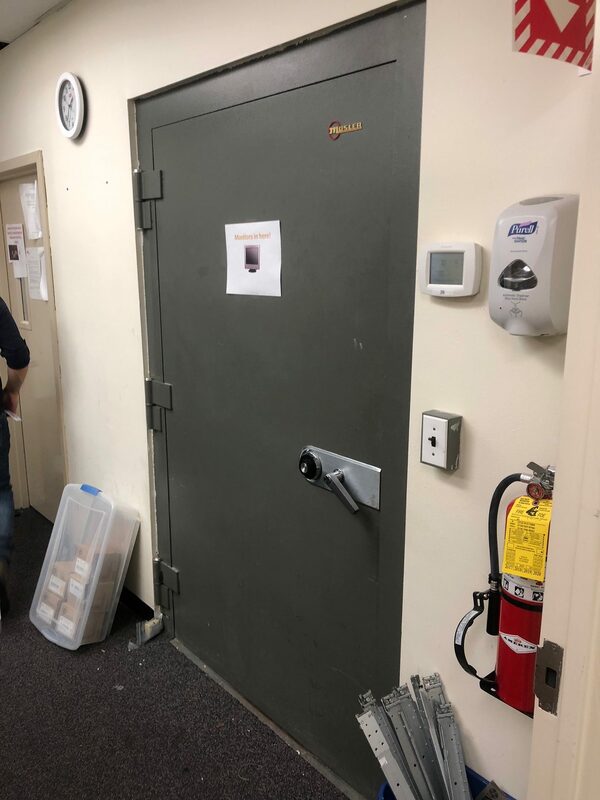 Visit our Safe Showroom in Plainview Long Island, New York. 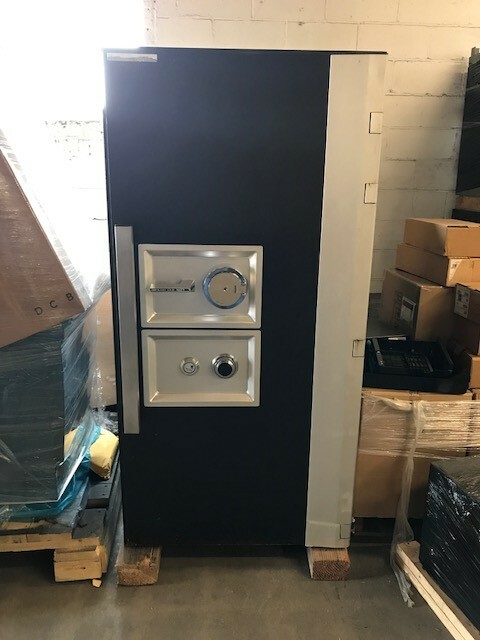 All Used Safes, except antique safes, will be repainted and refurbished before delivery. Very Rare! Discontinued - No Longer in Production. Provides high security protection that fits beautifully into traditional, exclusive surroundings. 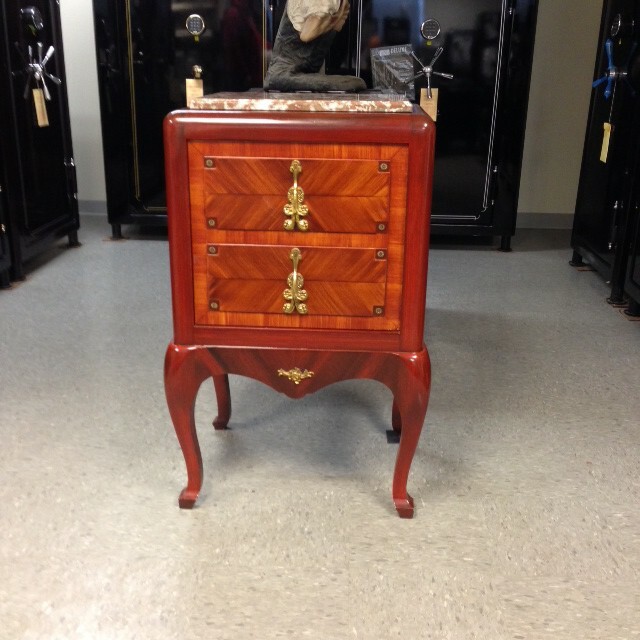 The finish was hand painted by factory trained craftsmen. Outside Dimensions 77" x 44" x 38"
Inside Dimensions 68" x 36" x 26"
Out of state shipping available. Subject to NY state sales tax. 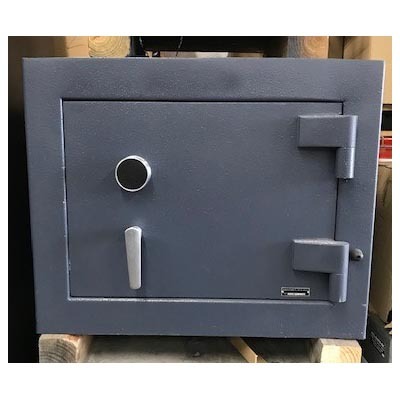 Fire Resistive Exterior Safe – Insulated to withstand 1850°F for 2 hours. 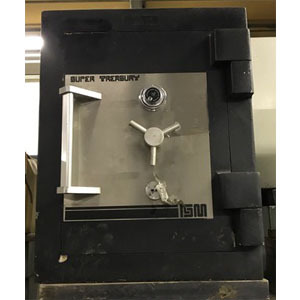 Finest Quality Combination Locks – U.L. 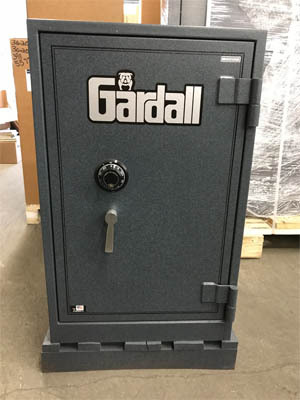 listed Group II with built-in relocking device or key-op lock. 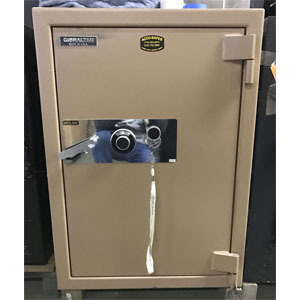 Relocking Device – If back cover is knocked off of the lock, the independent relock device is activated, preventing bolt withdrawal. 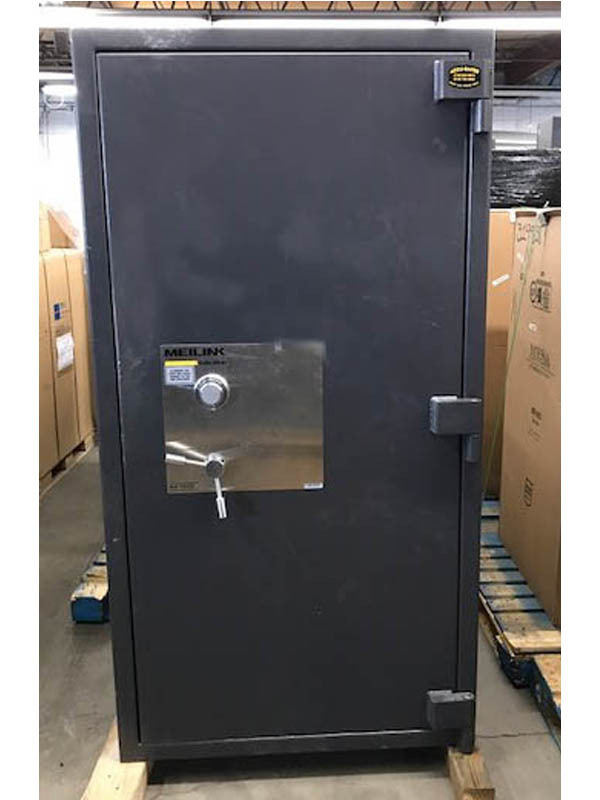 Boltwork Interior Door – Triple boltwork with independent relock device. 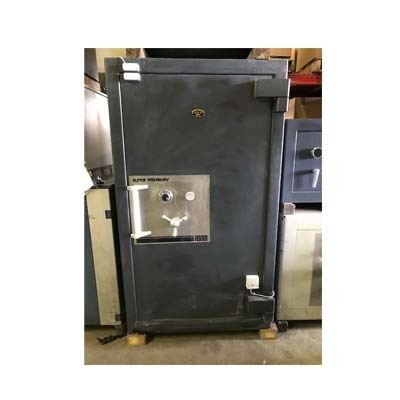 Boltwork Exterior Door – Interlocking bolts extend into the safe walls, full length locking bar on hinge side of door to deter forcible entry by removal of hinges. Outside Dimensions 78.5" x 41" x 30"
Outside Dimensions 34.75" x 27" x 27.75"
Inside Dimensions 26.5" x 18.5" x 16"
Inside Dimensions 62.5" x 33.5" x 20"
Outside Dimensions 73" x 44" x 32"
Outside dimensions 36" x 24" x 24"
Inside Top - 12" x 12" x 12"
Inside Bottom - 14" x 12" x 12"
Price $4,500.00 + Local Delivery.